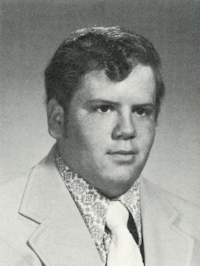 Obituary – Chilcoat, Howard Kent « Perry High School Alumni Association, Inc.
﻿A. Memorial Service for Howard Kent “Chili” Chilcoat, 45, Tulsa, OK, will be held at 11 a.m. Saturday, May 5, 2001, at the St. Rose of Lima Catholic Cemetery in Perry, OK. Rev. Buddy Hunt, pastor of the First Baptist Church, will officiate. Chilcoat was born July 25, 1955 in Chickasha, OK, the son of Cecil and Betty Jackson-Chilcoat. He died April 27, 2001 at his home in Tulsa. Chilcoat was a 1973 graduate of Perry High School and attended Okmulgee’ Technical School. He and the former Barbara Spillman were married in Perry, OK, in 1975. He worked in the oilfield until injured in a motorcycle accident in 1981. He then attended Okmulgee Technical School where he received as diploma as a chef in 1985. He married Sharon Kesel in 1986. They lived in Jefferson City, MO, where he worked as a chef. 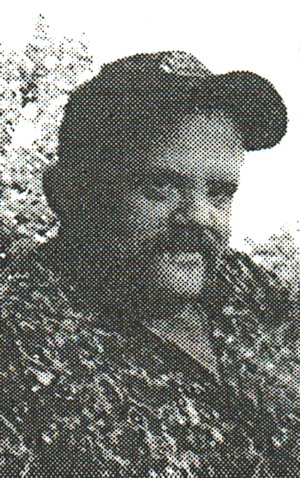 He moved back to Oklahoma in 1993, and lived in the Tulsa area until his death. Survivors include his parents, Cecil Chilcoat, Sand Springs, OK, and Betty Jackson-Chilcoat, Waggoner, OK; his daughters and son-in-law: Crystal Dawn and Kevin Gilbreath, Perry, and Emma Katherine Chilcoat, Jefferson City, MO; one son, Lucas Daniel Chilcoat, Jefferson City; two brothers: Charlie and Karl Chilcoat, Tulsa; one sister and brother-in-law: Janet and Bruce Haley, Sand Springs, OK; one grandchild, Brailey Alexzandra Gilbreath, Perry; several nieces and nephews; and special friends: Ron Williams, Danny Boone, John Boone, Jim Boone, and Pat and Benny Watson.